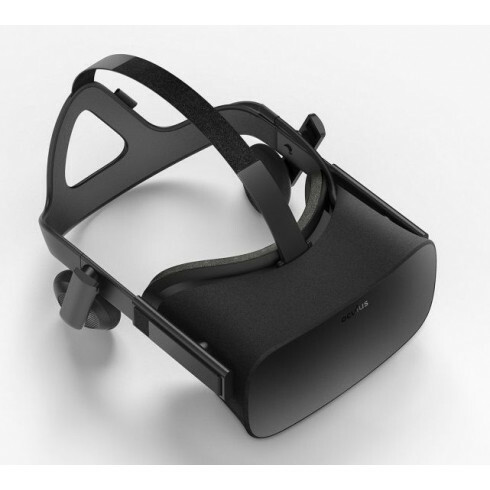 The release of the Oculus Rift virutal reality headset is March 28, 2016! The future of realistic racing at home is here! You can take your racing to the next level with the Oculus Rift virutal reality headset for Xbox One and PC! Just imagine this: playing your favorite new racing game, while seated in a Playseat® simulator, with a quality racing wheel in your hands and a virtual reality headset on your head. It will feel and look like you are really racing! The Oculus Rift will be packaged with a wireless Xbox One controller, native support on Windows 10 and the ability to play Xbox One games inside the headset itself, in a sort of virtual cinema, via Xbox-to-Windows streaming. The Oculus Remote is included as well, making it simple and intuitive to navigate VR experiences. With Remote, you can easily browse the Oculus store, explore 360 video content in Oculus Video, or experience a wide range of VR games and entertainment. It is the easiest way to introduce non-gamers to VR. The Rift uses an OLED panel for each eye, each having a resolution of 1080x1200. These panels have a refresh rate of 90 HZ and globally refresh, rather than scanning out in lines. The displays also use low persistence, meaning that they only light the pixels for 2 milliseconds of each frame. This combination of the high refresh rate, global refresh and low persistence means that the user experiences none of the motion blurring or judder that is experienced on a regular monitor. It uses high quality lenses to allow for a wide field of view. The separation of the lenses is adjustable by a dial on the bottom of the device, in order to accommodate a wide range of interpupillary distances. The same pair of lenses are used for all users, however there are multiple facial interfaces so that the user's eyes can be positioned at a different distance. This also allows for users wearing glasses to use the Rift, as well as users with widely varying facial shapes. Headphones are integrated, which provide real time spatialised binaural audio. This was developed from technology licenced from RealSpace 3D Audio, by Visisonics. The Oculus Rift has full 6 degree of freedom rotational and positional tracking. This tracking is precise, low-latency, and sub-milimeter accurate.